If you’re a fan of animation or picture books and want to hear about some of my adventures at Pixar and publishing, then check out the interview I did with my longtime friend, Rodrigo Huerta. And if you like this interview you might also enjoy other interviews Rodrigo has conducted for his series called Shot Talk. Many authors approach storytelling through words, but some--especially in the realm of children's picture books--narrate through images. 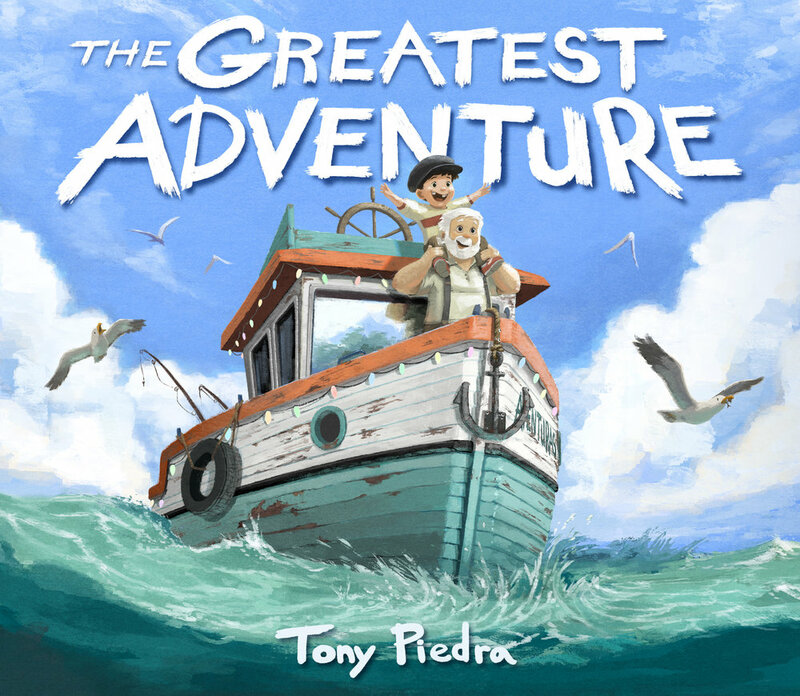 If you find your joy more through a crayon than a pen, you will find a kindred spirit in Tony Piedra, author and illustrator of The Greatest Adventure. Read the Q&A with him below to learn: the importance of iteration; how entering competitions can be a great way to meet agents; and what separates published writers from the unpublished. Hello, Tony Piedra! Thank you for stopping by to share the AMAZING book trailer for The Greatest Adventure. I cannot wait to share it with readers of all ages. Tony Piedra: Hi Mr. Schu! Thank you for inviting me on! I’m so honored and proud to be sharing my picture book debut with you. It’s a project that’s been many years in the making. To see the trailer for The Greatest Adventure and read my full interview with Mr. Schu follow the link, below. For more episodes, visit HERE. This podcast is about 2 things: kids books and the kids book author’s journey. I tried to make it just about the first thing, but as a kids book author, I couldn’t help myself. Take a listen as Timmy interviews me about more journey becoming an author and illustrator of children’s books. After years of working at Pixar Animation Studios, where he built environments for some of the studio’s most popular movies, Piedra says he decided to embark on a new artistic challenge. “I left the studio with the hope and the desire to be able to use the skills I had kind of developed over the years and make something beautiful,” Piedra says.